I decided to do opposite sides of the color wheel – orange versus green and red versus blue. I wanted to keep the warm colors on one side and the cool colors on the other side. So I made the orange and green my base colors, then drop swirled red (into the orange) and blue (into the green). After removing the divider, I dropped black and white soap into the entire mold (mostly down the middle). Then I hanger swirled it all and decorated the top. I also used 2 different essential oil blends on each side (see recipe below). *If you’re interested, I described the colorants in more detail at the very bottom of this post. Here’s a pic of my other attempts – simple black & white, Auburn & Alabama, and my first attempt at what became my soap submission. For the rose and french green clays, I used a rate of 1 to 2 Tbsp dispersed in distilled water (until very fluid). Then I used about 2 to 3 Tbsp of the dispersed clay per cup of soap. For the kaolin clay, I used a rate of 3 teaspoons dispersed in distilled water until very fluid. Then I used 3 teaspoons of dispersed kaolin clay per cup of soap. Beautiful. Thank-you for all the tips too! 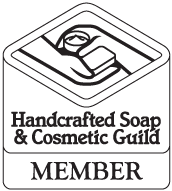 I have a question…what do you use to edge your soaps? Thanks! Thank you, Lina! For edging my soaps, I use just a plain old vegetable peeler that I purchased at the grocery store. Penny, thank you! That’s very sweet of you to say. Your embracing opposite soap is beautiful! The colors are so vibrant. Holly, your soaps are beautiful. Great colors – congrats. Gorgeous natural colorants. Anise is one of those oils that you love or hate. I must be one of those odd ones because I do like it. That blend you used with it sounds awesome! Very pretty – so surprised that this was accomplished using natural colorants. Thanks for sharing how you did the colors. I crush on this one with the mastering of natural colorants. Well done. Your colors are beautiful, no way I thought they were natural. And your swirls are gorgeous- well done! This is such a beautiful soap! I, too, really love that you used natural colorants and essential oils and got such vibrant, beautiful results. Just lovely!